When it comes to business growth, your marketing strategy is your greatest tool. Here’s 4 excellent marketing tips mompreneurs can start using in 2019. When it comes to business growth, your marketing strategy is your greatest tool. That is, if you have a marketing strategy. Don’t worry, your marketing doesn’t have to look like a page out of the playbook of a smooth-talking public relations professional, but you should have an intentional plan to increase your brand awareness and strengthen customer loyalty. Here are a four excellent marketing tips for mompreneurs that will instantly elevate your business status. Good marketing begins with your personal relationships with customers. When your customers stop by do they feel welcome and like you genuinely have their best interests at heart? Or do they feel like just another client or appointment in your schedule? Give your clients the warm and fuzzies when they stop by with a few simple changes. Consider making the waiting area a little cozier with a loveseat and a few throw pillows. Offer them Anthony Expresso while they wait. But wait, how do they find you in the first place? If your business has an online presence—and it should—your site needs more than just a flashy, well-polished website, it needs to be one of the top sites search engines present to your target demographic. That means it’s imperative that you invest in search engine optimization or SEO. In its most simple definition, it’s making your content attractive to search engines through effective use of keywords. When the search engines like your content, they’ll push your content to the top of the listings. So, when someone searches for your keyword(s), you want to be as high in the listings as possible. The frustrating thing about achieving this is that the major search engine companies change their algorithms on a regular basis, making it difficult to learn how to gain favor with the search engines. Because of this, the best course of action is to produce great content around the topic of your keywords. For example, if you wanted to rank high in the search engines for the keywords “wedding planning,” then you will want to make sure you have content that includes posts about that topic and uses the keywords appropriately. An SEO specialist will know how to properly incorporate keywords into your content and website. The process is also time consuming, so investing in SEO—check out Ignite Digital for excellent results–just makes good sense. Of course, there’s passive reach, that is to say, people finding you online organically, but you also want to do some outreach of your own, and social media is the way to go. Social media marketing is a terrific way to gain audience loyalty and trust, and build brand awareness, but not all social media platforms are right for all brands. With a little testing, you’ll find that perhaps Facebook and Instagram work best for you. Or maybe Twitter and Pinterest. What’s most important is that you discover what social media platforms work best and then engage, engage, engage. Social media marketing works because it’s a direct line to your target audience so make sure that you put forth a genuine effort to deliver a thoughtful and strategic outreach campaign. It works for great athletes, it works for high-powered CEOs, so why wouldn’t you also hire a coach? Having someone there to help you over those mental hurdles, to inspire you, and to keep you accountable can help catapult your business. To put it plainly Rebecca Mountain business coaching is important to your business growth. There are a variety of business coaching options available. You can attend workshops put on by local nonprofit business organizations, but many mompreneurs opt for online business coaching for its convenience. If you want your business to remain sustainable—or to grow for that matter—then you need a marketing plan that makes you memorable to customers and easy to find in the search engines. 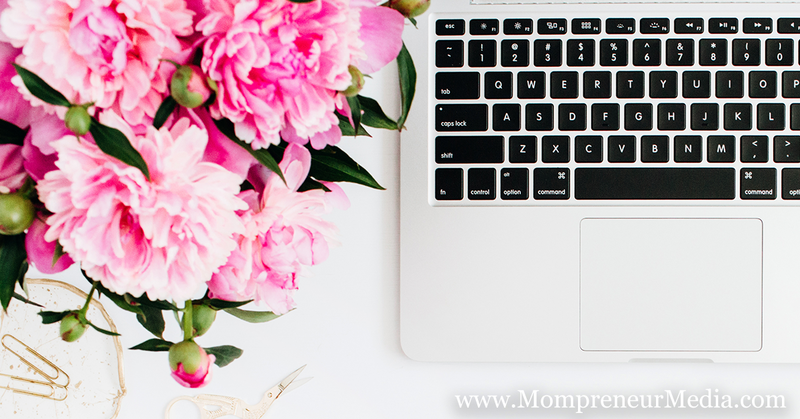 Take a few moments out of your day to outline a marketing plan that suits your business and put some of these mompreneur marketing tips to work for you.